Coronary artery disease or the coronary heart disease symptoms involve the clogging up of the arteries which carry blood to the heart. 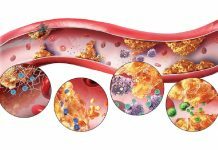 These are the arteries which supply the heart muscle with oxygen rich blood, and as they get clogged, the resulting condition is known as atherosclerosis. Over time, the plaque buildup inside the arteries will harden and this causes the coronary arteries to narrow down. This does not happen all at once and the plaque buildup can take years before any coronary heart disease symptoms show up. 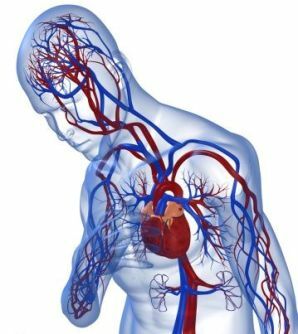 As a consequence of the partially blocked arteries, the flow of fresh blood to the heart muscle also slows down. This, over a long time frame, weakens the heart. There is also the danger of the plaque breaking open and causing a blood clot. If the blood clot becomes too large it may block the blood flow through the artery. 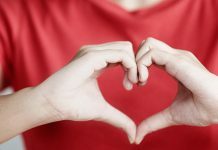 In case the blood clot or part of it moves, it can reach the heart and cause a blockage that may lead to heart failure. 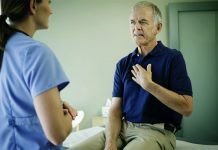 For a long time the plaque will not cause much of a problem but when the coronary heart disease symptoms show up it can need emergency treatment. The most common symptom to surface is angina pectoris. This is essentially a pain in the chest region. It can be also described as a feeling of discomfort, tightness, pressure or numbness. The pain may not be limited to the chest region but may also be present in the left shoulder, arms, neck, back and the jaw. Another symptom is a difficulty in breathing. This would leave the patient short of breath and if this happens immediate medical aid is required. There may be a problem with swallowing and the patient may feel like vomiting. A light headedness may descend on the patient and a sensation of cold sweating may creep in. Rapid and irregular beats of the heart can also come up. Or there may just be a general feeling of unease such as one gets from indigestion. 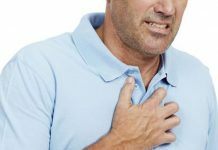 Very often the angina is mistaken for heartburn or the feeling of fullness you get after a heavy meal. Very often women do not think that they have coronary artery disease as their symptoms differ from those of a male patient’s. They may complain of a burning sensation in the upper abdomen or chest region. They also may not feel the pain or pressure in the chest but rather as a travelling pain that goes from the left arm to the jaw. There can be some dizziness and a disoriented feeling. They could also feel nausea and have a sense of fatigue. As it is obvious the symptoms of this disease will need emergency medical aid. Once the coronary heart disease has been established you will need to use the pill of nitroglycerin which has to be left under the tongue and allowed to dissolve. This is not to be swallowed. The medication will help with the chest pain and will hold you till a doctor can prescribe further treatment. Search www.carehomestoday.co.uk for information on care homes in the UK.